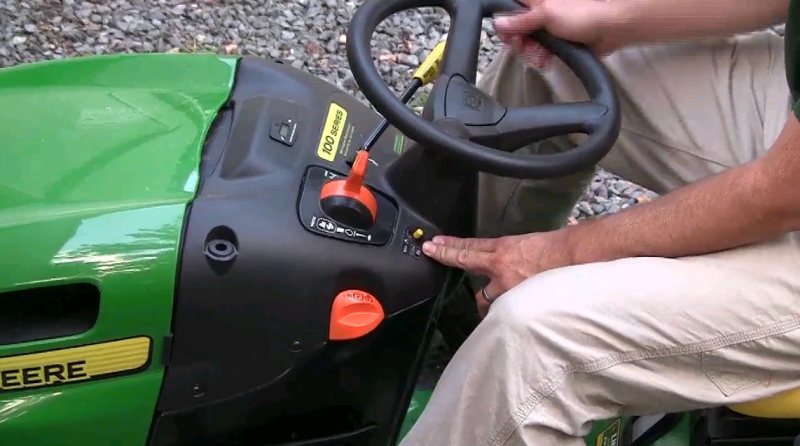 The Handyguys discuss the controls and maintenance of a John Deere LA115 lawn tractor in this audio only podcast. Any power tools with rotating blades are dangerous but mowers have the added danger of being mobile. They will amputate any human limb that gets in their way. They can hurl objects through their discharges. Please review and understand all the controls and safety devices on the mower before using for the first time. Do not allow children to play with or on mower. Do not give rides as it could encourage children to treat the mower as a toy. You don’t want children running out to a moving mower while you are mowing and unaware of their presence. Children should stay away from mowers and understand its dangers. This model has a combined choke and throttle lever. In order for the mower to start, you must have a brake depressed, the blades disengaged and be sitting on the seat. Like any mower, you must maintain the engine and chassis to keep it running smoothly. 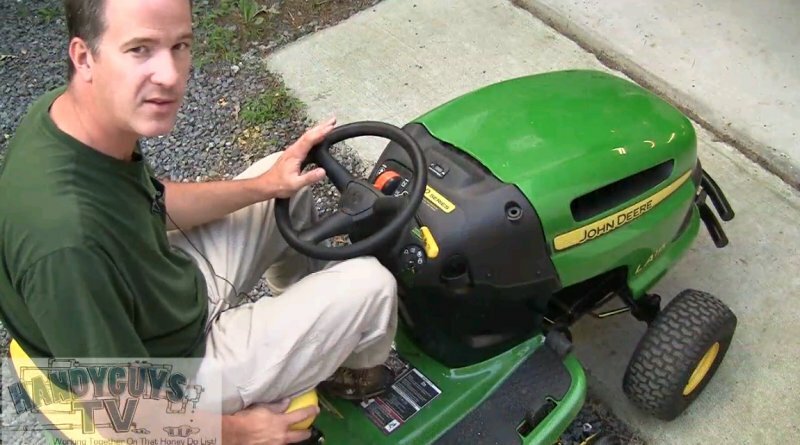 Most important, you must change your engine oil after the first 8 hours of mowing and every 50 hours after that. The Handyguys will be releasing a video detailing this maintenance within the next month. Be sure to check it out for details on basic maintenance, including changing engine oil, lubrication and removing the deck. Handyguy Brian describes the technique like a football field. 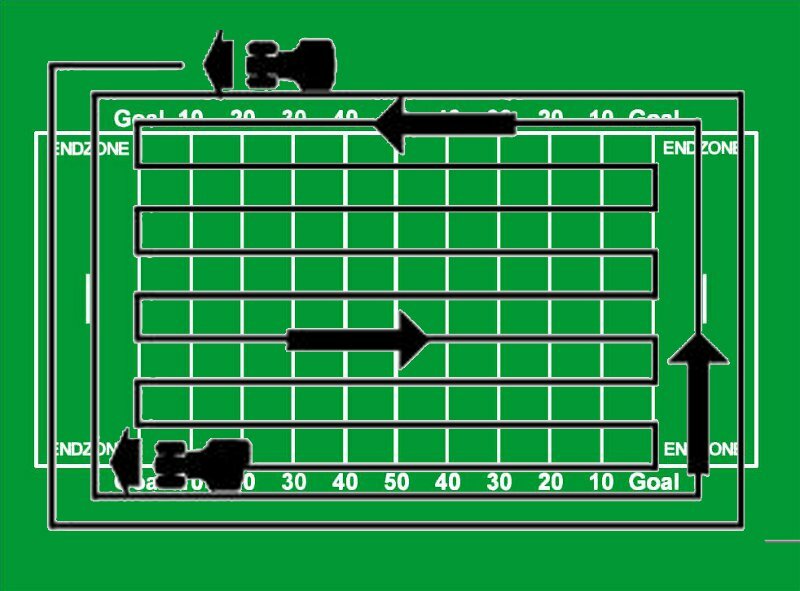 Mow the end zone and sidelines first and then in field. This technique will give you enough room to make your u-turn in a previously cut area. Your owners manual has some good tips regarding technique. For a healthier lawn mix up your pattern from week to week. Essentially you will want to do the edges and around flower beds first then cut even rows over the remainder of your lawn. Overlap your cuts a little to make sure you don’t miss a spot.